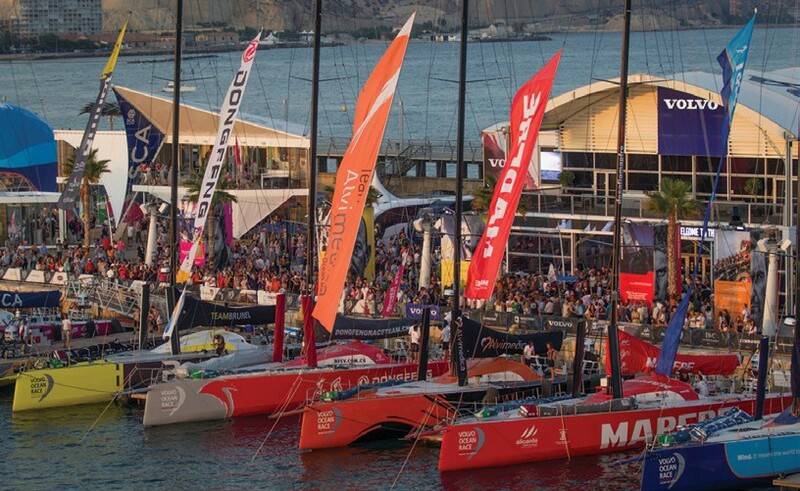 It’s the only North American port in the Volvo Ocean Race’s nine-month voyage around the world. Don’t miss it! 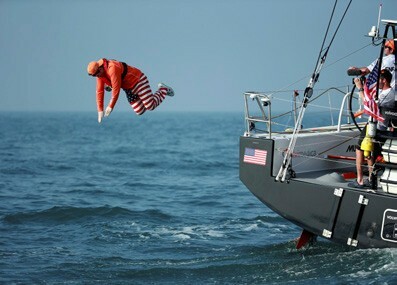 The North American Stopover of the Volvo Ocean Race will be hosted by Sail Newport, the State of Rhode Island Dept. of Environmental Management (DEM), Discover Newport and the City of Newport. 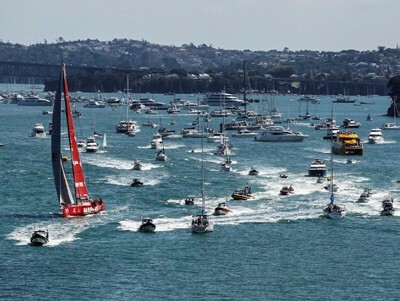 The twelve-day Newport Stopover will be a public celebration and will include entertainment, a marine Exploration Zone, kid’s activities, a food festival, team compounds, sponsor pavilions, a theater, up-close viewing of the race boats during the Pro-Am Race Day, the In-Port Race Day and the Leg Start to Lisbon – all taking place within yards of the shoreline of Fort Adams State Park. With free public access, the Race Village will feature dozens of interactive displays, sponsor pavilions, team bases, bars and food vendors, sailing opportunities, concerts, The Village remains open through May 17, when the teams depart across the Atlantic. For a daily schedule of events, check in here. Interested in Volunteering at the Village? The Race Village will need a tremendous volunteer team with many opportunities for people of all ages to help. If you are interested in volunteering some time to make this a great stopover for the teams and for visitors, as well as get involved in the village, visit the Volunteer Info page. There are still plenty of options available to stay overnight during the Stopover dates. Newport offers a wide selection of lodging options including hotels, inns, B&Bs, timeshare units, homes and more. To view the many options, visit Discover Newport. There are many marine facilities in Newport and nearby towns on the Bay. Discover Newport has a list of marinas available here. There are several ways to get to Fort Adams – by car, by boat and by bike. If you are staying in Newport, the best bet is to take a water shuttle from downtown to the Fort. There will be multiple water shuttles operating for a fee along the harbor front. If you enjoy biking, you might want to consider bringing your bike. It’s about a 2.5 mile ride between town and Fort Adams. 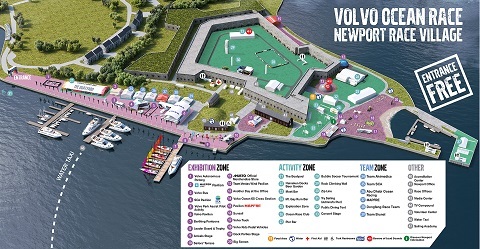 To help streamline the parking process for the Volvo Ocean Race Newport Stopover, you can purchase a parking pass in advance. These passes are valid for the entire event, from May 5 to 17. The price for Sail Newport members is $45 per car and $65 for non-members. Daily parking passes will only be available at the gate, priced at $10 or $20 per day depending on that day’s events. The parking pass must remain in the car that is being used. If the pass is not visible, organizers will have the right to charge at the gate. Space at Fort Adams may be limited on May 15, 16 & 17, so plan to arrive early. There will be absolutely no overnight parking at Fort Adams during the stopover. Drive Your Volvo to the Volvo! Thanks to Viti Volvo of Tiverton, RI, anyone driving a Volvo into Fort Adams State Park on May 14, 15, 16 and 17 will get free parking. 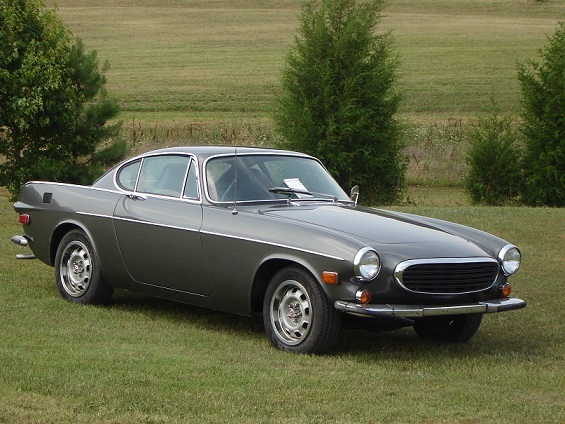 We’d love to see a turnout of Volvos (particularly vintage PV544s, Amazons, P1800s (pictured), 240s, and the all-too-rare Volvo Ocean Race Editions to rival the one in Gothenburg, Sweden, the final port in the race and the home of the Volvo Car Corporation. To watch the In-Port races (May 16) and the Leg Start (May 17), you can get a great view from the shoreline at Fort Adams or purchase tickets for charter vessels along the racecourse. Ocean Race Club will offer Premium Hospitality from May 14 through 17. Watch the racing from a prime location within yards of the race course. The Ocean Race Club experience includes a premium tent with seating and dining areas, gourmet lunch and full bar. 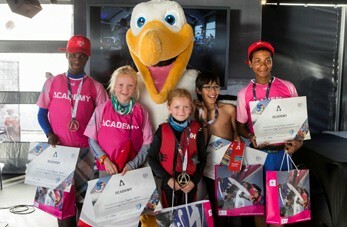 During each racing period, guests will hear official commentary, and receive race-day briefings from sailing experts. Space is limited to 400 guests per day. The 110’ catamaran ferry Ava Pearl is available for individuals to board for on-the-water viewing. During the VOR Newport Stopover, America’s Cup Charters will offer a few options for individuals or groups to get out on the water to view the Volvo 65s in action. Your experience will include viewing of the Volvo 65 boats racing and then a private sail around the bay for your own sailing experience to see what it’s like to work the 12 Metre class of America’s Cup boats. The water shuttle will take you from Perotti Park to Fort Adams and back so you can experience the Race Village at your leisure, either before sailing or after. More charter boats to be announced soon. 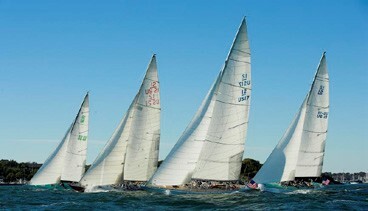 There will be lots of news as the fleet races towards Newport and the opening of the Race Village approaches. Follow our Newport Stopover section of our website. As part of its expanding commitment to the students of New London, the New England Science & Sailing Foundation (NESS) will take 150 students from the STEM Magnet Middle School at Bennie Dover Jackson Middle School in New London, CT, to the stopover. The goal is to educate and inspire students about the sport of sailing, the ocean, sustainability and the continents and cultures across the world through the lens of the world›s toughest sailboat race. Students will experience the Exploration Zone with hands-on wind, water, current, and marine life exhibits, board the 200-foot educational tall ship Oliver Hazard Perry, and even get out sailing with Sail Newport on J/24s. NESS President Spike Lobdell remarked, “We are so very excited to partner with the school to deliver this opportunity of a life time for the children. Team Alvimedica is offering the incredible opportunity for you to join the Volvo Ocean Race as a part of the team with auctions to race on board during the In Port race and be in the Jump Seat for the Leg start. For more information, click here. The Ocean Summit on Marine Debris during the Volvo Ocean Race stopover in Newport, RI has attracted a stellar list of expert speakers to bring attention to a ‘growing catastrophe’. The summit will take place on May 15. Among the speakers will be Team Alvimedica skipper, Charlie Enright, who has seen for himself the trash which has been dumped in the oceans on the route of the 38,739-nautical mile round-the-world Volvo Ocean Race. Click here for more info about this event.